People are freaking out because Starbucks is bringing the Pumpkin Spice Latte back in late August. Here's how this year's launch date actually compares with years past. StarbucksThe arrival of Starbucks’ Pumpkin Spice Latte is a sure sign of fall. 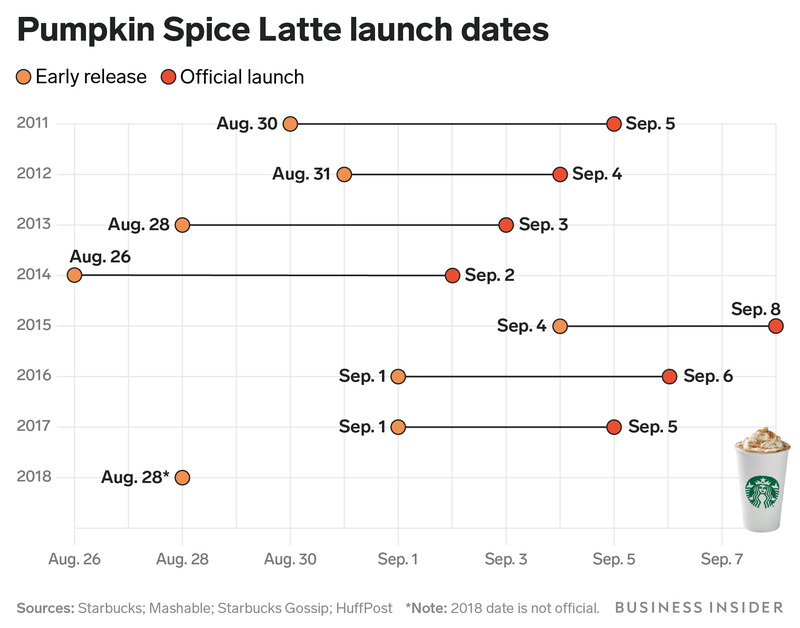 Pumpkin Spice Latte lovers and haters are freaking out about Starbucks’August 28 launch date. Some people apparently feel that a late August debut is too early for fall drinks and a sure sign of PSL creep. This will be the first year that Starbucks has launched the Pumpkin Spice Latte in August since 2014, when the drink debuted on August 26. Starbucks’ decision to bring back the Pumpkin Spice Latte in late August – as seen in internal documents obtained by Business Insider – is sparking outrage online. Many are saying that August 28 is much too soon to consider fall drinks. August 26 could be the date we see Pumpkin Spice Latte at @Starbucks While I am excited about the news, it’s hard to fathom drinking this fall beauty when it’s still 110 degrees outside. Others were more open to welcoming autumn as soon as possible. However, the truth is more nuanced. 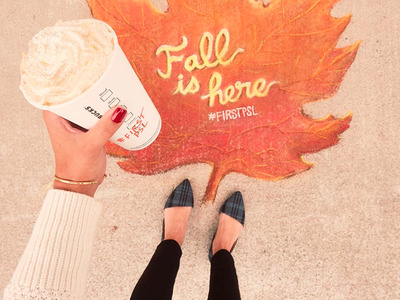 Starbucks typically launches the PSL around the first week of September. In recent years, the chain has offered an early launch that often kicks off in late August for in-the-know customers. An August 28 launch date would certainly be on the early side for Starbucks. The last time the chain debuted the Pumpkin Spice Latte in August was in 2014, when customers who participated in an online scavenger hunt could order the drink on August 26, prior to the September 2 launch date. So, if you’re freaking out about the PSL arriving too early this year, your concerns aren’t baseless – even if the difference is just a matter of a few short days.